I received an email from an investment group based overseas. The email stated that “Property prices have gone up 37% this year!” it went on to say that now is the time to invest. There is nothing wrong buying quality assets, that cash-flow after stress tests, are in solid areas and offer value. There is something really wrong with buying a property in a frothy market, with sketchy economic fundamentals (if any) just because, well the market is rising. If you are an experienced flipper and are willing to gamble on buying near the peak, that may be a risk you are willing to take. For me, I want to invest in assets that can weather economic storms, are well priced and deliver value even when the economy is in a down-cycle. I’ve reflected on that a lot lately; our market here in Edmonton is good and moving into an upward trend, it still means that one has to buy right. Even if that means letting other investors pay a premium to own an asset. Keep your head in a hot market, but do pull the trigger and buy at the price that makes sense. Turbo charge your portfolio. 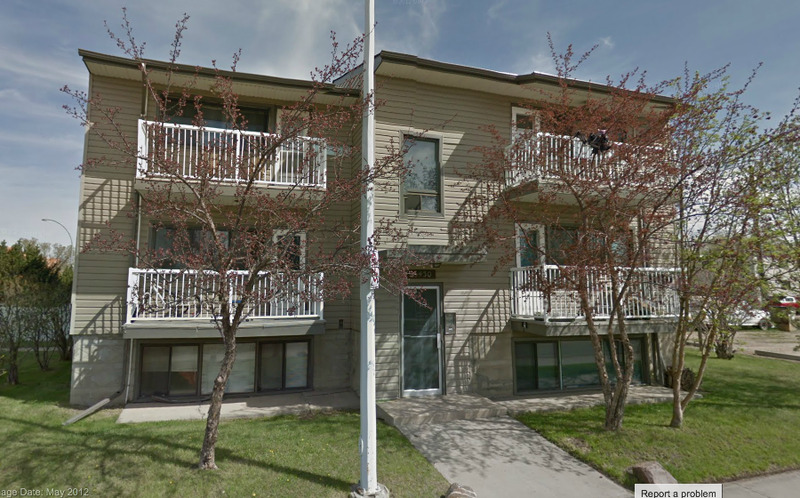 This legal 6-plex is located minutes from Grant MacEwan University Centre for Arts and Communications. Upgraded in 2006, this 1965 built property has a common front entrances for all suites as well as common back entrance to suites and coin-laundry. There are 6 X 1 BD units. Suites are in good condition, but will require some modernizing by our reno team upon vacancies. This property is currently fully tenanted with M-T-M leases. Rear parking pad for 6+ cars. Spacious upper units have newer carpet, some upgraded fixtures and paint. Unbeatable access to Grant MacEwan, West Edmonton Mall, bus routes and major artery roads to downtown. *Please note* 6-Plex buildings do require specific financing conditions and down payments are 35% or greater in many cases. Comes complete with great tenants making this a totally turn-key property for you. Convenient West Jasper location with easy access to transit and downtown. Highly rentable; solid value and increasing rents. HUGE upside potential due to the great purchase price, strong economic fundamentals and the proximity of this property in relation to Grant MacEwan building/future development. Look out Calgary, Edmonton is building momentum, along with all those houses, condos, office towers, industrial warehouses and storefronts. In fact, with a staggering value of $5.53 billion, 2013 was either the biggest year for building permits in the Edmonton census metropolitan area, or in the top three, according to the city’s chief economist John Rose. And the city is gaining fast on Calgary, which reported $6.04 billion in permit value for 2013. CALGARY - Alberta business leaders and consumers remain optimistic overall despite the latest PwC Business and Consumer Confidence Index showing a small drop in confidence in the economy since November. PwC said responses from business leaders about economic confidence has fallen compared with November (2.8 per cent decrease). Confidence in current business conditions has declined by 7.9 per cent in January after an upward trend. Optimism about future employment decreased by 4.9 per cent compared with November, continuing the downward trend. CALGARY - While retail sales dropped in Alberta in December due to cold weather and November Black Friday promotions, the province still led the country with the highest annual growth rate as sales reached $6.2 billion for the month. Statistics Canada reported Friday that sales in Alberta fell by 1.1 per cent from November and they were down 1.8 per cent across the country to $40.2 billion. But on a year-over-year basis, retail sales were up by 7.3 per cent in Alberta, which was the highest in the country, and by 3.4 per cent in Canada. When your house goes "Snap, Crackle and Pop"